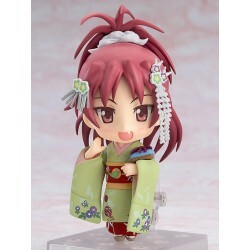 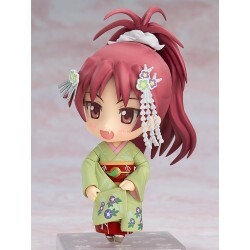 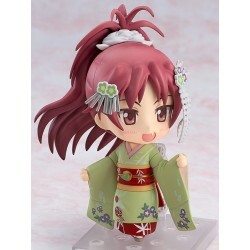 From "Puella Magi Madoka Magica" comes a Nendoroid of Kyoko Sakura dressed in a refreshing Maiko outfit. 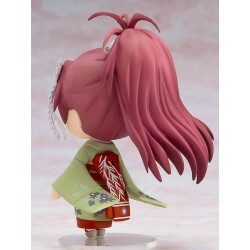 She comes with two face plates including a smiling face and a face with closed eyes, and she also comes with a drawstring bag to display with her! 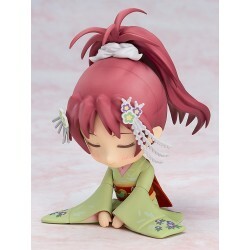 Interchangeable parts to pose her sitting are included, which can be used together with the closed eyes to create an elegant bowing pose. Be sure to display her with the other characters in the Puella Magi Madoka Magica Maiko series and create all sorts of different situations in Nendoroid size!